During this week you’ll see a bunch of social media posts with the #mhawnz and we encourage you to get involved. You can check out what’s happening in your local area here. Connecting with nature can be a super way to build wellbeing in ourselves. 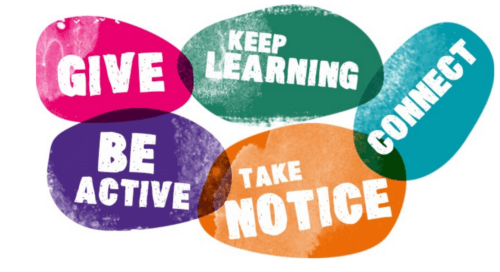 Based on the 5 Ways to Wellbeing, activities in this year’s #mhawnz looks at how we might connect, learn, give, take notice and be active in the outdoors. Stuck for ideas about how you might connect with nature? You can head over to the pages of DOC (Department of Conservation) and CPH (Community Publich Health) for some inspiration! All Right? promotes four themes under Live Brighter: at the moment we’re promoting Mind You Head, which is covering topics around Finding Balance (especially with our technology use! ), Connecting With Nature, Recharging our Batteries, and Enjoying the Moment. For MHAW, we are promoting Connecting with Nature with information about the benefits of being in nature, tips for getting out and about in nature. We are also going to be asking Cantabrians to vote on what their favourite spots are in Canterbury. Participants will go in the draw to win an experience at Packhorse Hut thanks to DOC (Department of Conservation). No doubt we’ll be posting photos of beautiful Canterbury spots on Instagram too! Bounce is taking part in MHAW’s photo a day challenge. It’s been really good in encouraging our team to take notice of things that we may not otherwise. We’re hoping that these photos inspire our young followers to take notice of nature and all the things it illustrates, including diversity, our connection to living things, and our place in the world around us. You can follow Bounce on Facebook. Better Out Than In promotes an “Active Life for Stronger Lungs and a Stronger Mind”. Keeping active is essential to managing my chronic respiratory condition, and I find that the physical and mental health benefits of exercise are maximised when I do so in nature. Being in nature also helps me manage my perspective of living with a chronic condition, that while we don’t have control over what happens to us, we can manage our perspective to see the beauty and life in anything. I’ll be detailing this more in a blog piece for #mhawnz, and will be encouraging my followers to share the different things that they take notice of while out exercising. Lifehack will be participating in the #mhawnz photo challenge and releasing a couple of blog posts, keep your eyes on our Twitter and Facebook for more info. Anyone can get involved in Mental Health Awareness Week by posting photos according to the challenge outlines and tagging them #mhwnz. We hope to see your pictures in the mix!